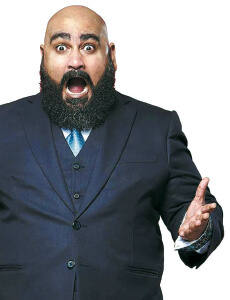 This article first appeared in The Edge Financial Daily, on June 22, 2018. Fête de la Musique, also known as Music Day, is an annual music event that dates back to 1982 in France, where it was celebrated to bring people and music into the streets. On Music Day, all citizens are allowed and encouraged to play music outside in their neighbourhoods or in public spaces such as parks. The concept caught on quickly, and is now celebrated in over 700 cities in 120 countries worldwide! 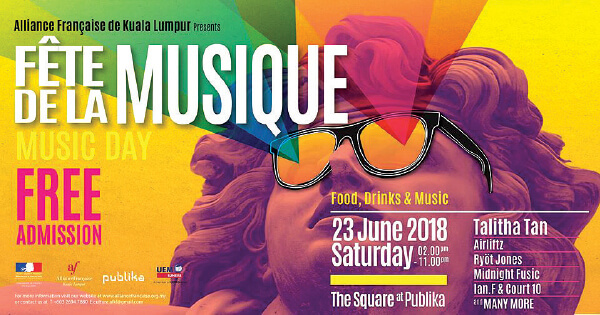 Now, Alliance Francasie de Kuala Lumpur is bringing the celebration to The Square at Publika, Kuala Lumpur. There will be live performances featuring artists like Talitha Tan, Airliftz, Ryot Jones, Midnight Fusic and more. Join them at The Square tomorrow from 2pm to 11pm. APW Bangsar is bringing back its highly anticipated event Preloved Is Reloved. Plan for a whole weekend of thrift shopping, as there will be 60 booths selling preloved items, alongside food vendors to help quench your thirst and whet your appetite. 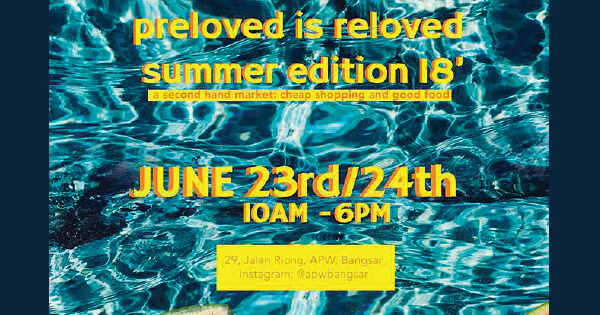 Preloved Is Reloved: Summer Edition ‘18 will take place this weekend at APW Bangsar, Jalan Riong, Kuala Lumpur. On Sunday, Le Noir KL celebrates its second anniversary with the biggest line-up of local entertainment at one venue this year. Titled 2GETHER, this celebration will feature live music, DJs, food and drinks. The line-up includes Chris Palmer, Dani, Evelyn Feroza, Q Sound, Dasha Logan, Aina Abdul, Kaya (the band) and many, many more. Celebrate with them on Sunday, from 3pm, at Le Noir KL, TREC, Jalan Tun Razak, Kuala Lumpur. Reserve your spot at https://lenoir.com.my/book-a-table. Join No Black Tie for an evening of soulful music, featuring Agis Kania. Born in Sukabumi in West Java, Indonesia to a musical family, she began her musical journey at a young age, and continued throughout her college years, where she regularly won singing competitions, at both regional and national levels. When she was at high school, Agis sang and recorded the anthem of her hometown Sukabumi (a Sundanese pop tune), which eventually became iconic there. Catch her at No Black Tie, where she will be performing tomorrow (10pm) and on Sunday (9pm). Tickets are available at www.noblacktie.com.my. 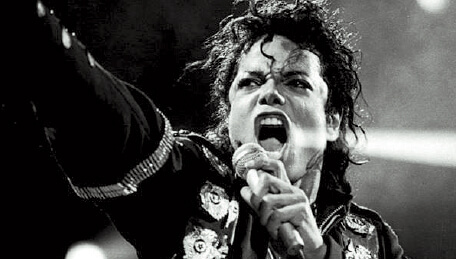 To commemorate the 9th anniversary of the death of Michael Jackson, Russell’s KL has gathered some of the best musicians in the Klang Valley to pay a moving tribute to the King of Pop himself. 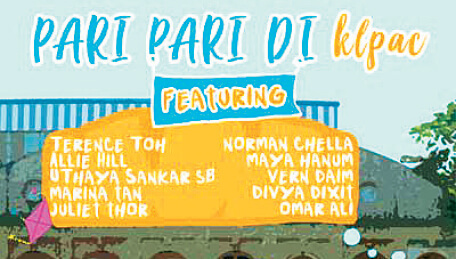 Featuring performances by Russell Curtis, Tok Khon, Nazrin, Travis Tan and Arthur Kam. 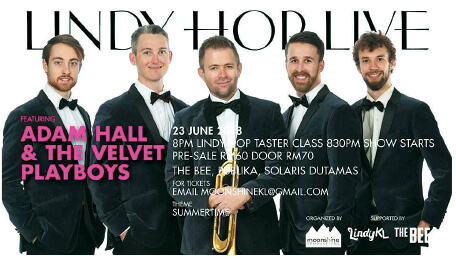 Join them tomorrow at Russell’s KL, Taman Tun Dr Ismail, Kuala Lumpur from 9pm. For reservations, call (012) 300 9083. Bobo KL Aidilfitri celebrations will be marked by the return of actor/singer Ida Mariana back to the stage with a festive Raya take on her signature song stylings. She became active in the Kuala Lumpur theatre scene in the late ’90s, but soon realised her love for song and music as well. 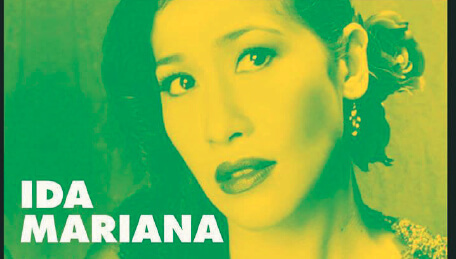 Now, Ida Mariana is a name not only in the Kuala Lumpur theatre scene, but also in the music scene: singing at notable clubs and jazz venues such as Alexis Bistro, No Black Tie and Bobo KL. This performance will feature her sharing centre stage with Datuk Mokzhani Ismail on the Bobo Grand, Amar Azalan (bass) and Yuri (drums). This special event at Bobo KL is today from 9.30pm. Call (03) 2092 5002 to book a table. If you are planning to further your studies with pre-university courses such as A Levels or the IB Diploma, swing by the Mid Valley Exhibition Centre this weekend to visit the Private and International School Fair. Visitors will have the opportunity to talk with representatives from academic institutions all over Malaysia as well as learn more about an international education in general. There will also be talks held by professionals in the education industry, which will give visitors a clearer understanding on what an international school education is. For more information regarding the fair, call (03) 7986 0070. An exclusive Chivas whisky pairing dinner with the finest Miyazaki wagyu is being held today at Resorts World Genting’s restaurant The Olive from 7pm to 10.30pm. The four-course dinner will marry the exceptional ingredients and skills of the chefs at the fine dining restaurant with the smooth legacy of the world’s favourite blended whiskies. 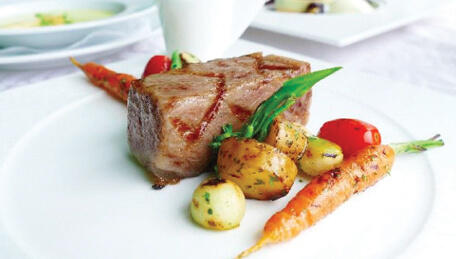 It will also be an opportunity for diners to savour the taste of the beef that has reigned as the champion of Japan’s Wagyu Olympics since 2007. The dinner is priced at RM350 per person. The Olive is located on the lobby floor of Genting Grand Hotel in Resorts World Genting. For reservations, call (03) 6105 9668/ (012) 9393 264 (Izuan).